Guns For The Ladies for sale in Maine. Popular colors and best selling models for women available here at Allsport Performance Inc. Gun Store Hermon, Maine See our great selection of guns at low prices. We have many calibers, sizes, and color options in stock. Come see us at our retail store. When you arrive you will be greeted by the owner that will help you find the right firearm to fit your needs. Whether it is for conceal carry, home protection, shooting at the range or for hunting we can help you. We stock many brands of firearms but if you don't see the make or model you are looking feel free to contact us about ordering. You can have confidence in the inventory listed as this page is updated daily before we open as well as throughout the day. We have been serving the Bangor area and beyond since 1997. As a licensed dealer we buy, sell, and trade all types of firearms. We give fair trade values and offer fair prices for your individual guns or estate collections. Why go to Old Town, Lincoln, Holden, Ellsworth, Fairfield, Palmyra or other shops in Maine when you wont find a better price or selection. 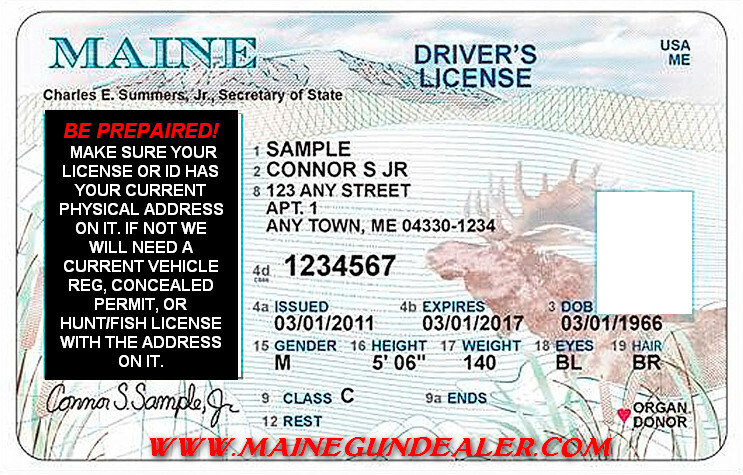 I think you will find that we are one of the best gun shops in Maine. Canik TP9SF Elite Maine - FEATURES -Caliber: 9MM Luger -4.07" match grade barrel -Comes with industry standard dovetail sight cuts -Warren Tactical sights w/ red & green fiber optic -Loaded chamber indicator -Striker status indicator -Ambidextrous slide top -Improved single action trigger -Reversible magazine catch -Tungsten grey cerakote over phosphate -MIL-STD-1913 picatinny rail -AFC magazine coating -Comes with two 15 round magazines, poly holster, paddle, & belt attachment, interchangeable backstraps, cleaning rod & brush -Overall length: 7.25"
Charter Arms Chic Lady Maine - FAMILY: Undercover Series MODEL: Chic Lady TYPE: Revolver ACTION: Double / Single Action FINISH: Pink/Hot Pink STOCK/FRAME: Alloy Frame STOCK/GRIPS: Rubber Grips CALIBER/GAUGE:38 Special CAPACITY:5 BARREL:2" SIGHTS: Fixed SAFETY: Transfer Bar Includes pink lockable case. Charter Arms Santa Fe Sky Maine - FAMILY: Undercover Series MODEL: Santa Fe Undercover Lite TYPE: Revolver ACTION: Double / Single Action FINISH: Two-Tone STOCK/FRAME: Alloy Frame CALIBER/GAUGE: 38 Special CAPACITY: 5 BARREL: 2"